The Springbok's Wild Boar Sloppy Joe. We all know the feeling. Sometimes, the world seems so big and scary and adulting so overwhelming that even our favorite foods seem forbidding. On those days, it may be necessary to eat like a kid. But we deserve more than sitting in a pile on the floor with Ritz crackers and a can of Easy Cheese. 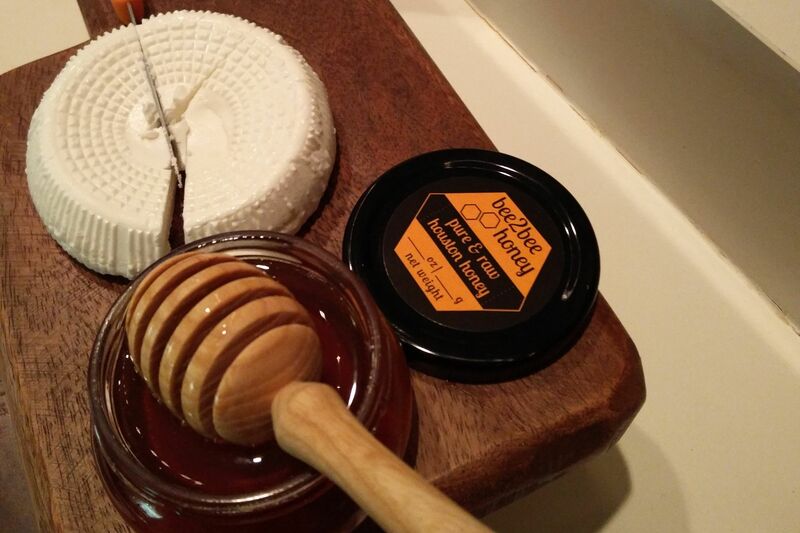 We are grown-ups after all and our childhood pleasures just don't taste as good on a refined palate. 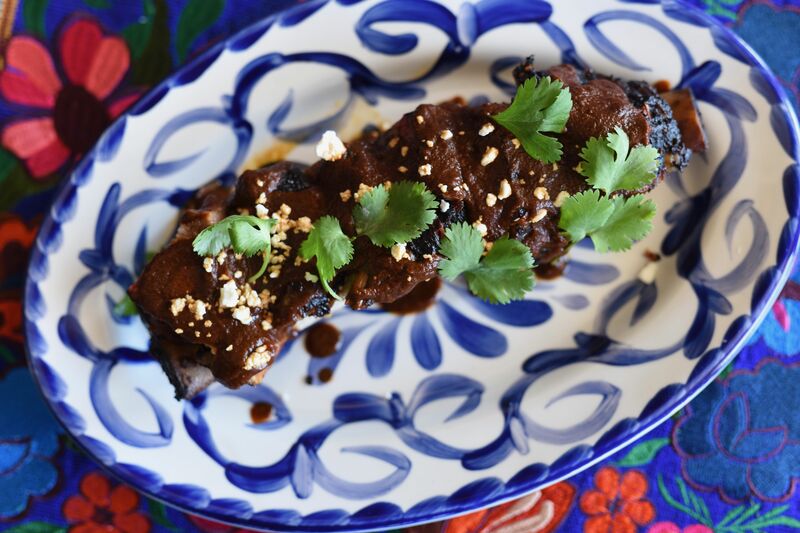 Fortunately, Houston chefs have got us covered with updates on some of our kid-food faves. Who can forget about cafeteria sloppy joes? Ground mystery meat oozing from the sides of flimsy white bread has satisfied millions of elementary students across America. But the lunchroom staple is due for an upgrade, and that’s where Springbok comes in. Executive chef Seth Greenburg describes the menu as “American with a South African accent,” but the Wild Boar Sloppy Joe is a remixed recipe inspired by the sandwiches his mom used to make. 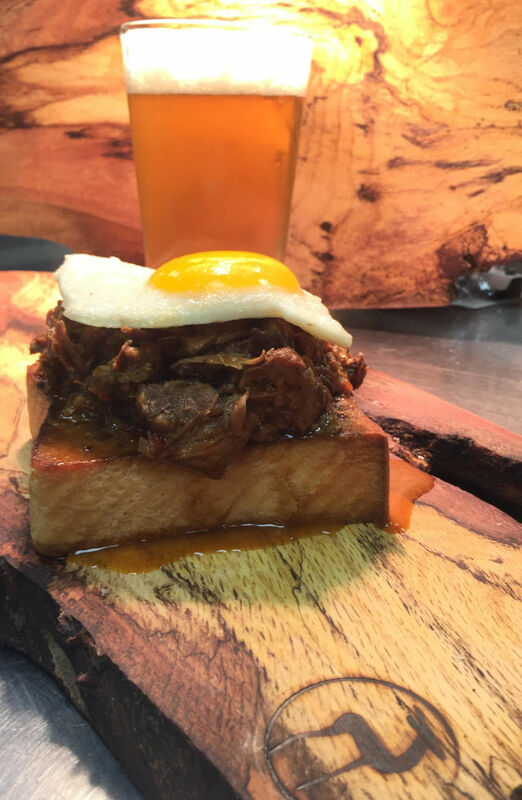 Wild boar is braised for six hours, piled high on butter-griddled Texas toast, then topped with an easy sunny-side-up cage-free farm egg. The reinvented sloppy joe comes open-faced and might actually require a fork and knife. Greenburg and chef de cuisine Ivan Gianiare constantly make additions and improvements to the menu, but the Wild Boar Sloppy Joe is a permanent fixture. 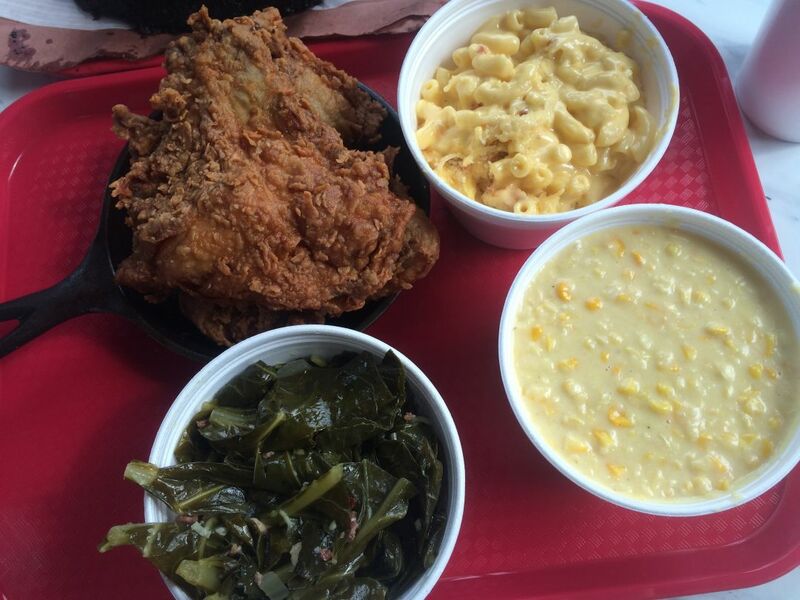 The mac-and-cheese isn't even the best thing on this tray at Killen's Barbecue. An affinity for that iconic blue box spreads far and wide, but one cannot live on fluorescent orange cheese powder forever. 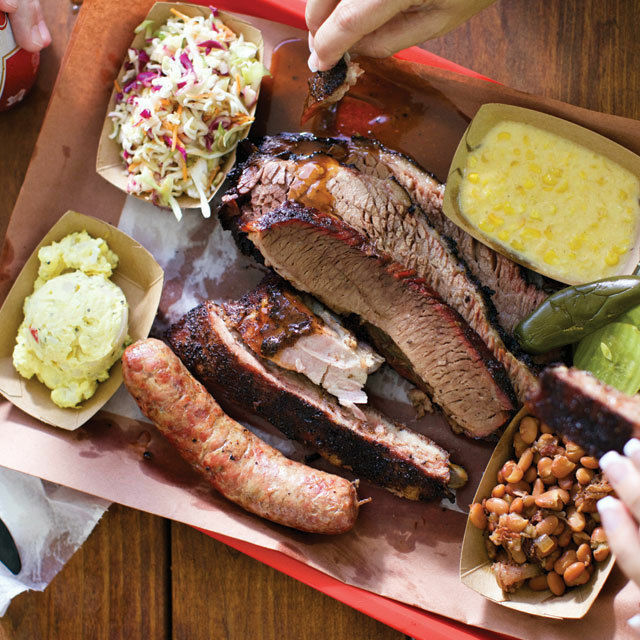 Purists rejoice, for Killen’s BBQ is dishing out the best version of your most beloved comfort food, without the addition of meats, vegetables or cheese powder. Chef Ronnie Killen has developed a perfect cafeteria-style macaroni with an unbeatable sauce. The balance of cheddars, American and in-house smoked gouda make for the ultimate fromage experience. Beating the line can be a challenge, so if you’re not an early-riser, a near identical souped up version of the mac is available at Killen’s Steakhouse, topped with Nueske’s bacon bread crumbs and an extra helping of smoked gouda. 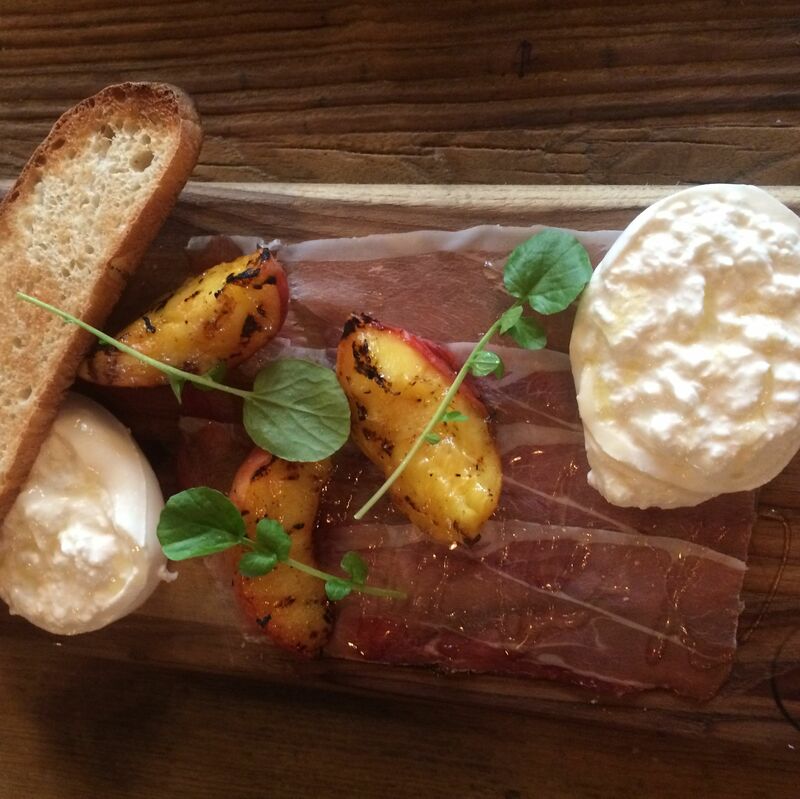 Houston has yet to completely reinvent spaghetti and meatballs, but Riva’s gives Italian food an adult vibe by offering two things: bottomless mimosas, and Randy, a server so flamboyantly charming that he has become an integral part of the establishment. 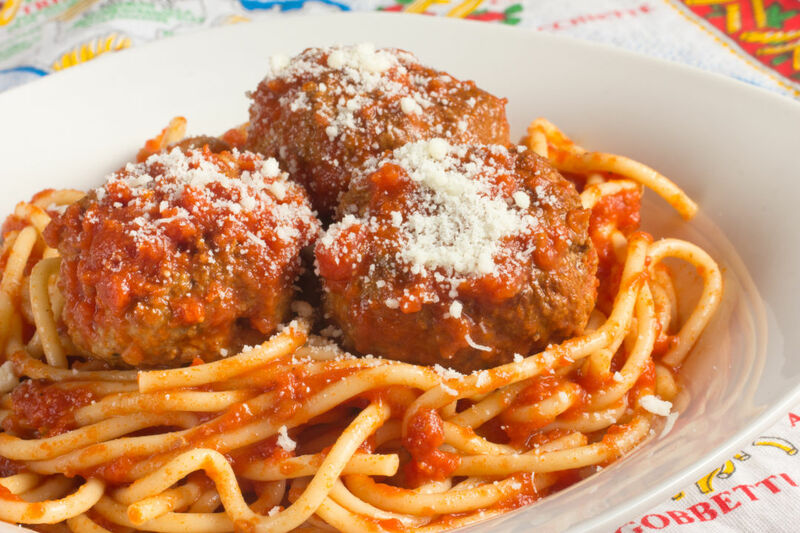 Celebrate your adulthood by having Capellini and Meatballs before noon at Sunday brunch with an extra boozy carafe of mimosas to wash it down—being an adult gives you the right to have meatballs with alcohol whenever you please. Randy, who has been serving at Riva’s since 2010, will turn your simple brunch into a mini-party with his bubbly personality and risqué remarks. Note, diners can only partake in the alcoholic libations after ordering food. Cookies and milk at Uchi. 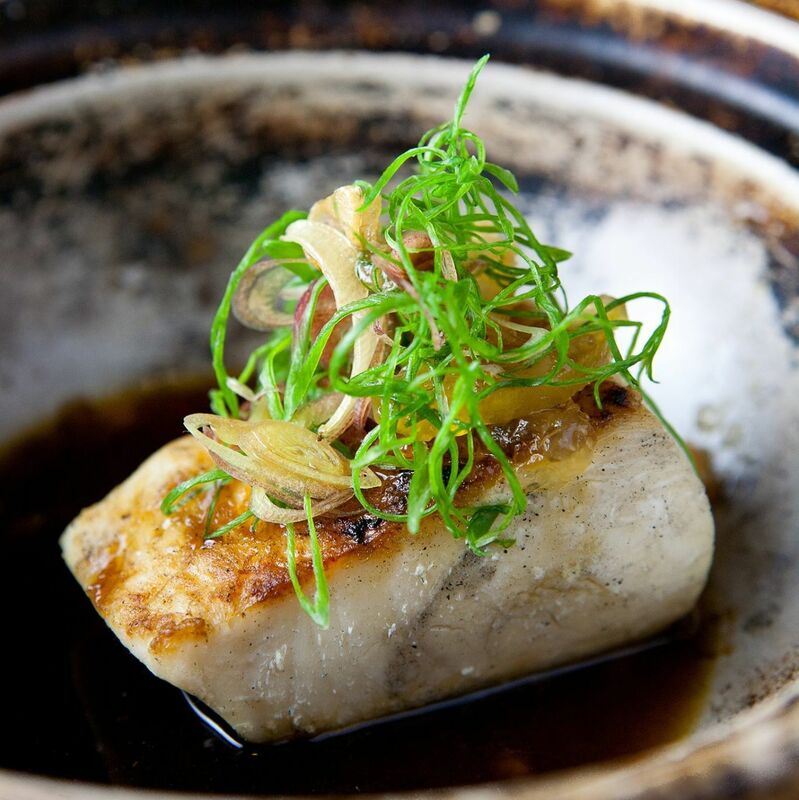 Uchi’s Fried Milk is a decadent play of texture and temperature, which makes it easy to see why this dessert is a crowd favorite. It's like the chocolate chip cookies and milk you had as a kid, but now it's grown up, gone to college, and gotten a bachelor’s degree. 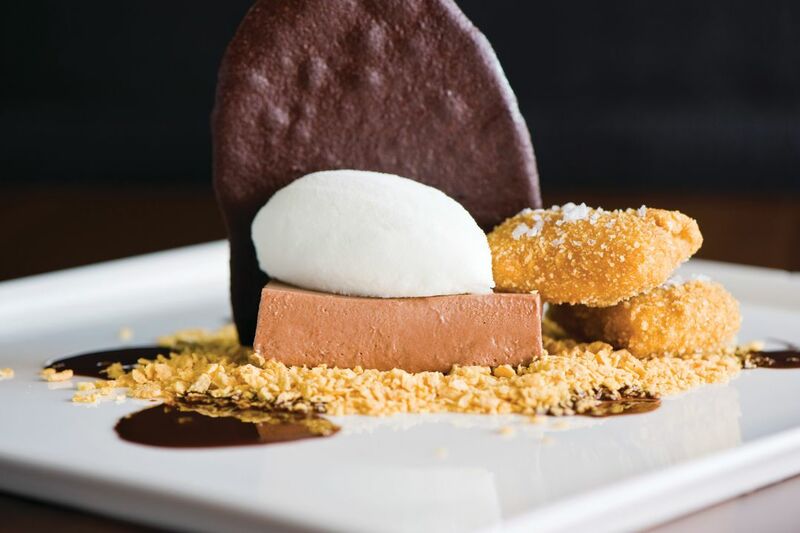 Chef de cuisine Lance Gillum describes the dessert as “a whimsical re-imagining of Cookie Crisp cereal and milk.” Each component of Fried Milk takes you back to a sentimental point in time: hot fried pastry cream, toasted milk, iced milk sherbet, corn flake crumble and chocolate powder. 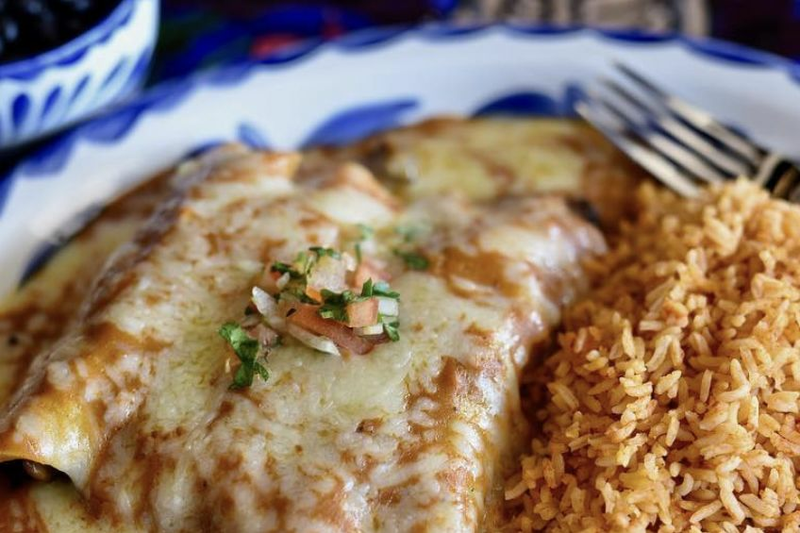 If your wallet is as empty as your stomach, just wait. This wistful take on cookies and milk is complimentary on your birthday. 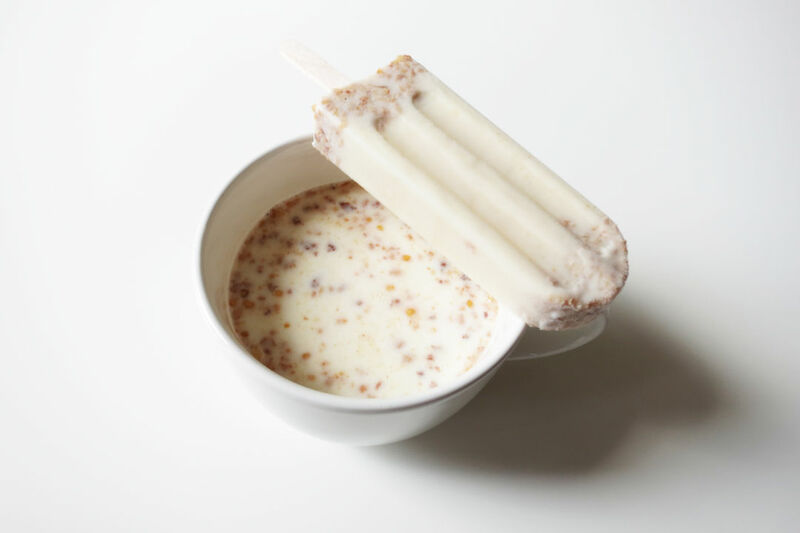 Popfancy Pops' cereal milk flavor. Long gone are the days of sitting on the curb in 100° F with just a sputtering sprinkler and an ice-cold popsicle to aid the heat. With summer quickly approaching, Popfancy Pops is here to save us from the scorch with the “coolest” popsicles you’ve ever tasted. The brand consists of three lines: Popfit, for health-conscious individuals, Popluxe, an indulgent line of guilty pleasures and Poplab, which features more experimental fare. These refined paletas are handcrafted using seasonal ingredients. Flavors like watermelon-basil with lime-chile salt and Vietnamese coffee will make you want to play in the sun like it’s 2001. Popfancy Pops’ Memorial City Mall location will have a soft opening on May 16th—the food truck will be fully operational this summer. Keep your eyes peeled for their Cereal Milk pop, the holy grail of childhood favorites, which will be released this fall. No abuelita necessary to craft the Mayan mocha latter at Campesino. Winter months are short-lived in the lovely state of Texas, but the hankering for a rich molten cup of hot chocolate can persist well into the summertime. On the quest to curb your craving, reach beyond those dusty packets of Swiss Miss, and aim for something a bit…spicier. 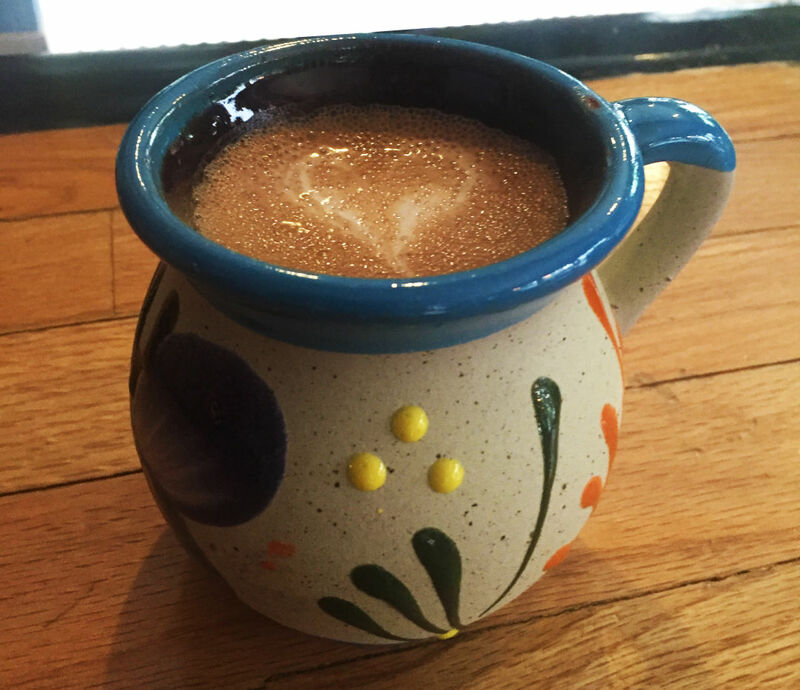 The Maya Mocha Latte at Campesino Coffee House is similar to the classic hot cocoa you grew up with but amped up with a shot of espresso and blend of Mesoamerican spices for good measure. The latte is topped with a decorative froth and served in a traditional artisan jarro mug made of clay, which is a nice change from the standard porcelain vessel. 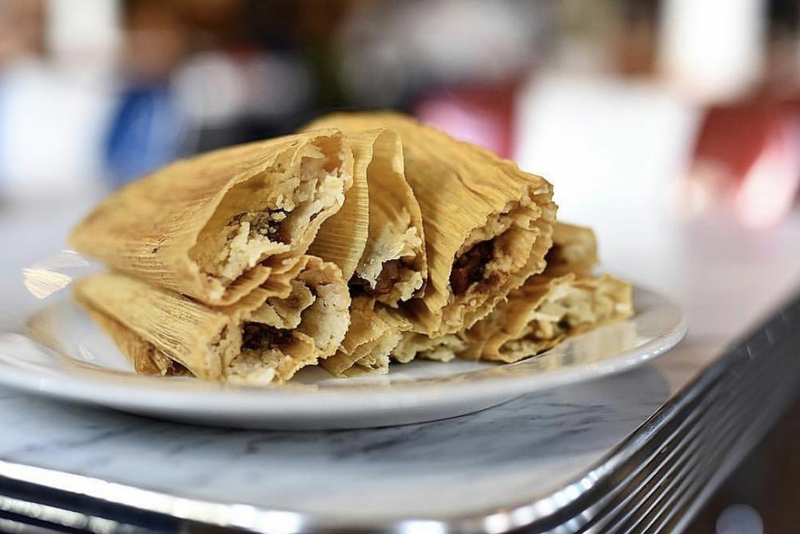 The taste is so authentic, it's hard to believe owner Geronimo Villalobos' grandmother isn't whisking away with an old-world molinillo at the barista station to create these chocolatey masterpieces. Order the mocha without espresso for an even more nostalgic treat. $$ African 711 Main St.